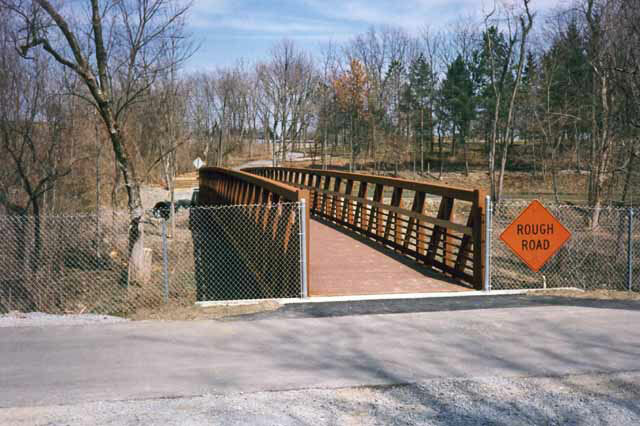 The Creekside Trail provides a critical crossing over I-675 and connects the two hubs of the trail network in the Miami Valley: Xenia and Dayton. From Xenia, you pass the James Ranch Park and Beavercreek Station, a rest area that is also home to Beavercreek’s September 11th Memorial (1153 North Fairfield Road, Beavercreek, OH). 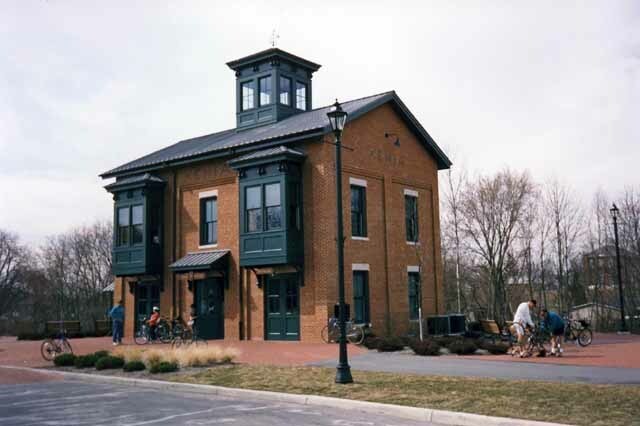 Fifth Third Gateway Park is a popular meet-up place right on the Greene-Montgomery County Line. The trail makes its way through Riverside to Eastwood MetroPark in Dayton. Meandering along the peaceful creek and the shade of the trees, you can barely recognize the urban and suburban surroundings. In Greene County, the Creekside Trail passes by two wetland areas, providing an extraordinary view of rare plants and animals. One of these is the Creekside Reserve, which begins at Factory Road and runs along the south side of the trail to near North Fairfield Road. If you stop for a rest at Beavercreek Station, take a moment for the September 11th Memorial located right there as well. Crossing the 140-foot bridge over Shawnee Creek at the James Ranch, you can commute to the Fairgrounds Recreation Center Park, Mullins Pool, the Greene County Fairgrounds and the Little Miami Scenic Trail. 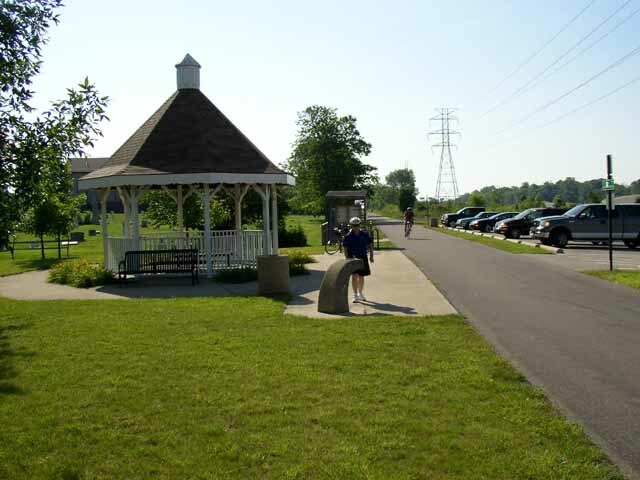 At the west end of Beavercreek is Fifth Third Gateway Park. 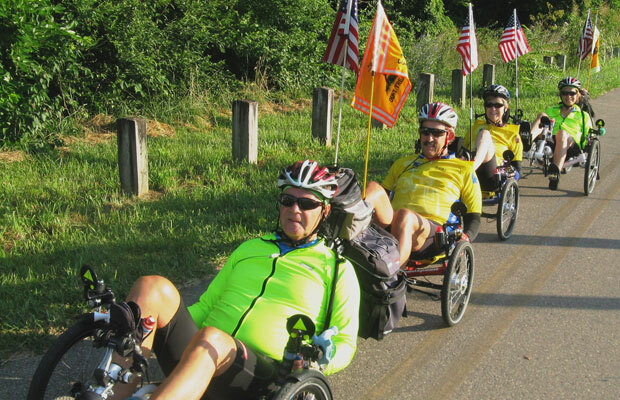 The trail continues west, crossing into Montgomery County and the cities of Riverside, and Dayton. The trail comes to a “T” where a right turn continues on the Creekside Trail to Eastwood MetroPark, and a left turn begins the Iron Horse Trail south into Kettering and beyond. 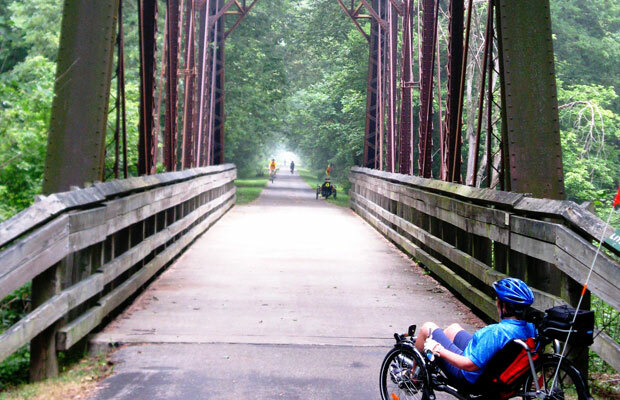 Five Rivers MetroParks manages the Creekside Trail from the Greene County line to Eastwood MetroPark, where it connects with the Mad River Trail.